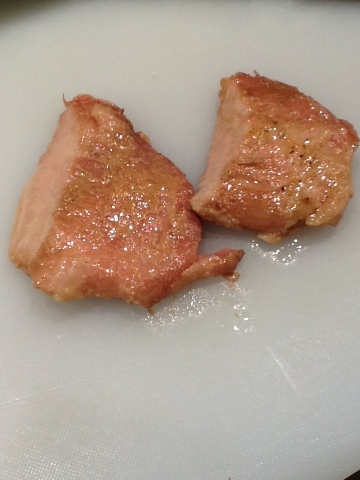 Recently, a few customers said that my Hoisin Pork was not tender enough and was on the dry side. This was a challenge as sometimes my supplier would give me relatively lean pork butts. So I decided to give pork cheeks a try. These are relatively very marbled and slightly chewy. Usually, Thai restaurants love this cut and grill them and slice them very thinly when serving. I got some cheeks at the market and slow cooked them for 48 hours. They turned out extremely tender and moist. Now to see what sauce would go well with this.